By admin at Sep. 27. 2010. The most important aspect of rose care is choosing the correct rose for the location. You will note that of all the roses that were purchased at Renzie Park no one opted for hybrid tea roses. These are the fussiest of all the roses and very difficult to grow in our area. The Knockout roses are almost carefree and grow well here. Learn something about the rose, checking it for hardiness as well as resistance to disease, as well as adaptability. In our area roses on their own roots seem to do better than grafted ones. 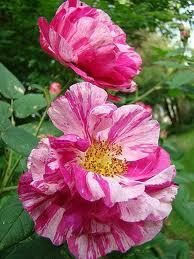 Many of the old roses, such as the beautiful striped Gallica ‘Rosa Mundi’, spread by rhizomes. They are going to require a location where they can spread or you will be constantly digging up offsets to control them. Make sure you know how the rose is going to grow before you buy it. Choose an appropriate area. Roses need at least 6 hours of sun per day. It is best if they get some morning sun so the leaves dry quickly in the morning. This helps to prevent blackspot. They will not grow under trees or where roots from other plants are competitive. Many types of roses don’t seem to mind our clay soil although on the whole it is suggested that they should be planted in soil that is well drained. They need a reasonable amount of moisture but once they are established they get along just fine. Bush roses have a fairly extensive root system so are more stable. Look at the location and choose an appropriate rose. 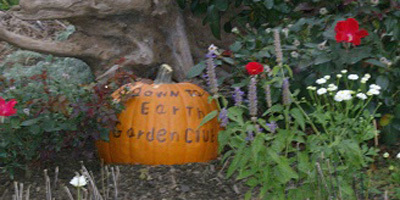 Dead head and remove rose hips. The older roses bloom once and the prolongation of the blooming season is limited. Many of the modern roses will bloom for many months or will rebloom. Preventing them from going to seed will keep them flowering. Prune at the right time. 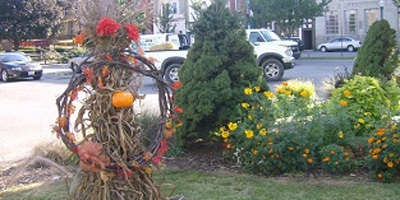 Rebloomers should be pruned in the spring and then again lightly in the fall to prevent excess winter damage. Climbers should be pruned in the fall and lightly shaped in the summer. Removing new growth will inhibit blooming. Roses that don’t rebloom should be pruned right after blooming. Know your rose. 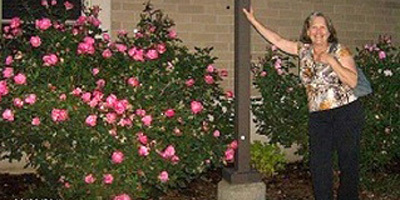 The more information you have the more successful you will be as a rose grower.